Do you have a plan for the biggest shopping weekend of the year? 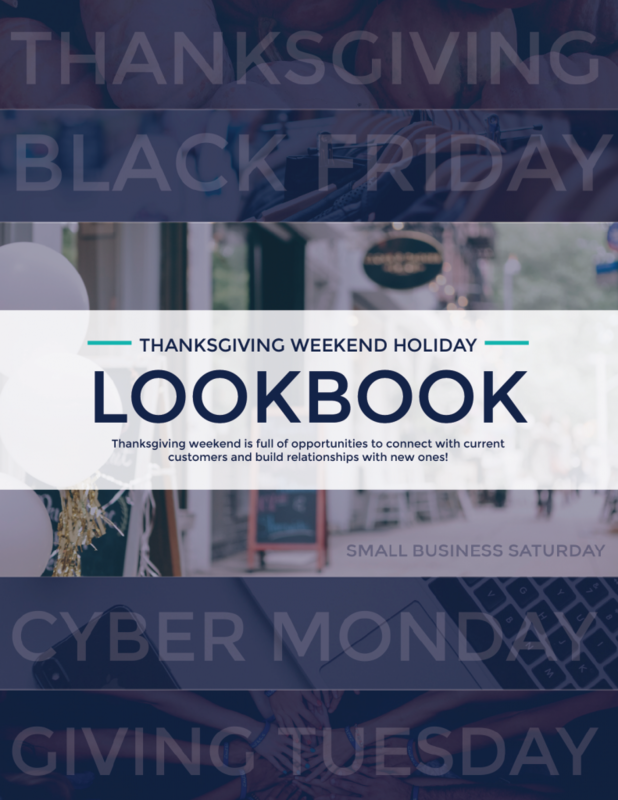 The Thanksgiving Holiday Weekend is filled with shopping events like Black Friday, Small Business Saturday, and Cyber Monday. Check out our 2018 Holiday Lookbook for marketing campaign ideas, see new email templates, and social post ideas. Use the featured email templates, social posts, and more by signing up for a Free Trial.